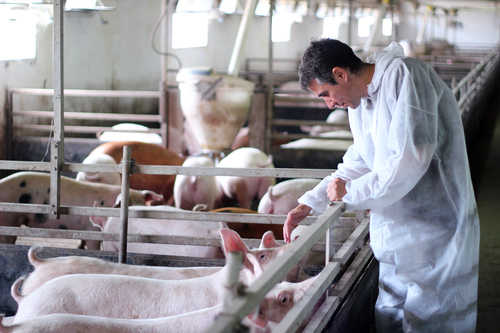 The Department of Agriculture will begin a four-month study in May on how antimicrobials are used in U.S. swine operations. Meat industry publication Meatingplace reports the agency’s National Animal Health Monitoring System, along with the National Agricultural Statistics Service, is conducting a new data collection and reporting effort that will focus on antimicrobial use and stewardship practices on swine nursery and grower-finisher facilities with a capacity of at least 1,000 head. The study is part of USDA’s Antimicrobial Resistance Action Plan released in 2015. The study will gather information on antimicrobial-use practices in 2016 before FDA’s implementation of policies that eliminated the use of medically important antimicrobials for growth promotion purposes in food-producing animals and required veterinary oversight of such antimicrobials in animal feed or water.